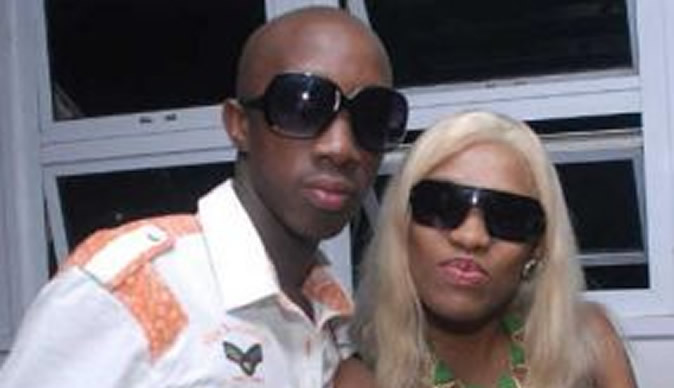 Kwaito star, Msawawa, 25, is getting ready to tie the knot with his glamorous sugar mama, Angela Gwala, 34. The news came out last week when listeners called a radio station to ask about the wedding. Born Siboniso Dlamini, Msawawa has been dating Angela for more than two years. She is from a wealthy family in Umhlanga and works for Eskom's biggest customer – BHP Billiton and Msawawa owns a shebeen in his hometown, Clermont, in Pinetown. Sources close to the pair say Angela supports the faded kwaito star financially as his music and other businesses are struggling. Angela, who is 10 years older than Msawawa, told Sunday Sun she would only marry him, if he follows traditional procedures. "I wouldn't want to talk about our marriage arrangements to the press. "He needs to pay lobola, then we'll have a white wedding before October," said Angela. A close friend said the pair were originally set to tie the knot over the Easter weekend, but then moved the date for the ceremony to October. "The pair are madly in love with each other. Now Angela will know that the boy really loves her – and not just her money. "The music industry has not done anything for him, but she has," he said. When called for comment the Dlala Baby hitmaker said: "The wedding is looming later this year." But later, when asked about wedding dates and venues, Msawawa would neither confirm nor deny it. He hung up, instead. Two years ago the pair made headlines, when Sunday Sun reported that the 25-year-old kwaito kid star had attacked her after she refused to give him money. Congratulations to the two's.And remember that lts God who gives love.